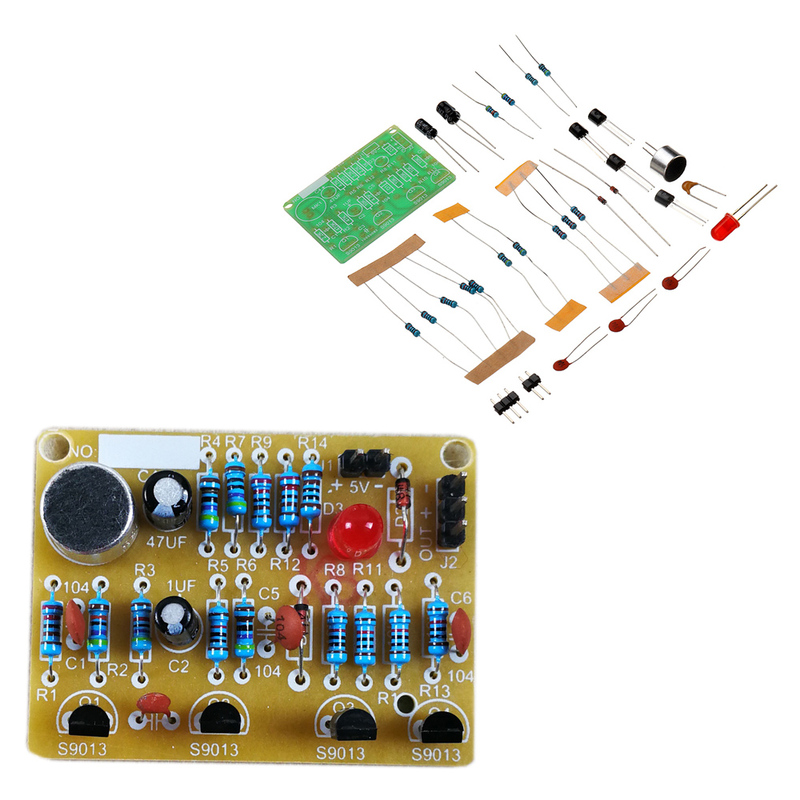 Circuit description: this circuit is mainly composed of audio amplification circuit and bistable trigger circuit. Q1 and Q2 constitute a two-stage audio amplifier circuit. The audio signal received by MIC is coupled to the base of Q1 by C1. After amplification, the collector is fed directly to the base of Q2. A negative square wave is obtained at the collector of Q2 to trigger the bistable circuit. R1 and C1 limit the frequency response of the circuit to about 3kHz, which is a high sensitivity range. When the power is connected, the state of the bistable circuit is Q4 cut-off, Q3 saturation, and LED1 not bright. When the MIC receives the control signal, it outputs a negative square wave after two-stage amplification. After differential treatment, the negative tip pulse passes through the base of D1 and Q3, which makes the circuit Flip rapidly and the LED is lit. When MIC receives the control signal again, the circuit will turn over and LED will die out. If the LED lamp loop is connected with other circuits, the voice control of other circuits can also be realized by J2.